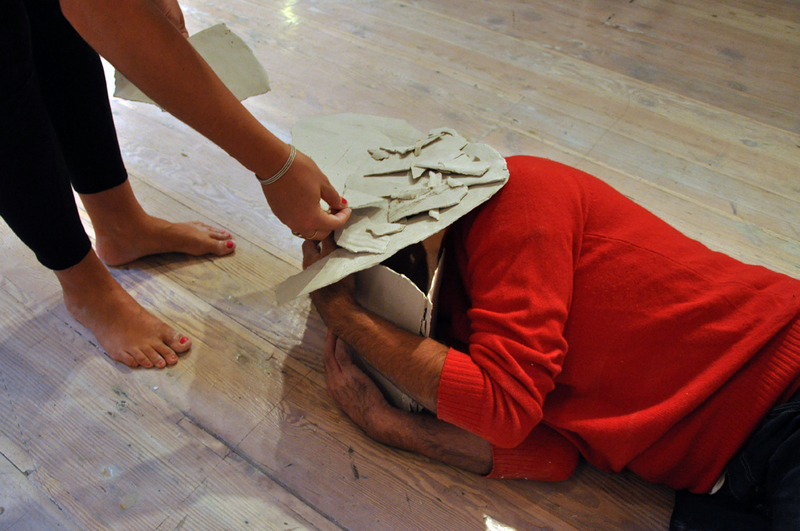 September 26-28, 2013 VestAndPage performance art workshop. Open Space Arts Society, Victoria, BC, Canada. 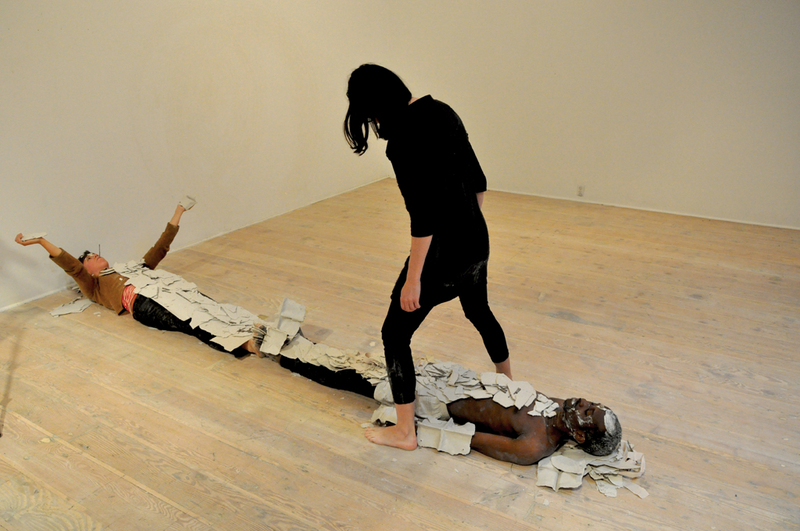 Verena Stenke (Germany) and Andrea Pagnes (Italy) have been working together under the name of VestAndPage, engaging performance art, filmmaking, visual art, writing, and independent curatorial projects. 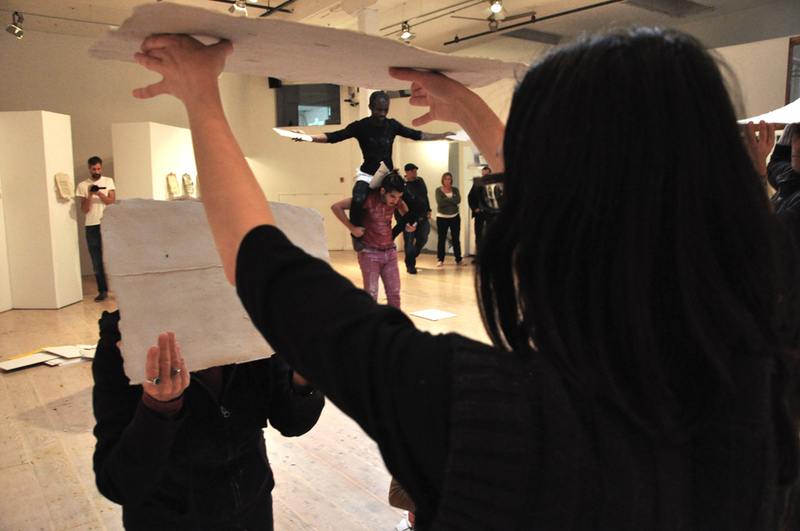 I was a participant in their Fragile Limits workshop which coincided with the final day of my Impression Formation exhibition. After spending three amazing days working with Verena and Andrea alongside the other 12 participants in the workshop I decided to open up the installation to interaction from the group to close the exhibition. 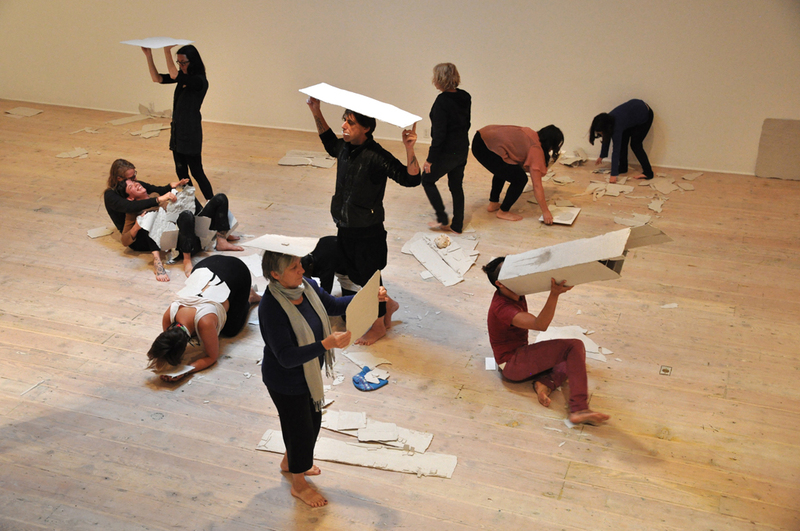 The experience extended the work in ways that were beyond a simple uninstall–it came down with punctuated ritual and attentiveness, collaborative action and enlivened gesture. 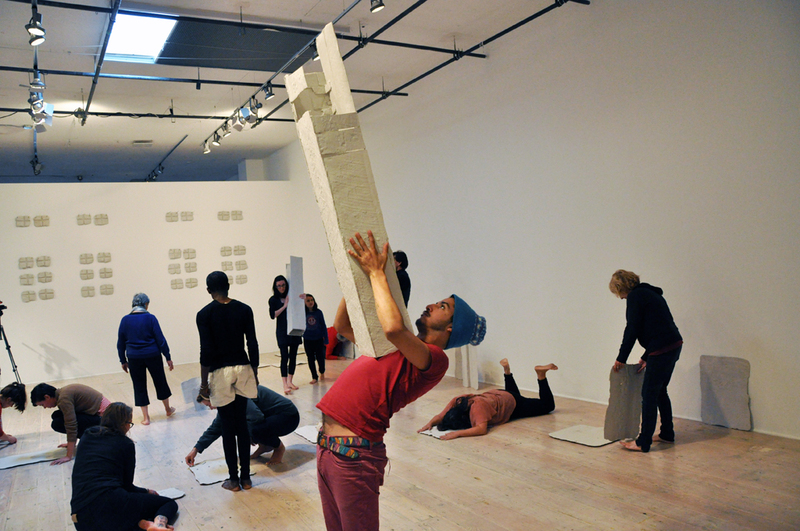 Thanks to Verena and Andrea and the strong group of workshop participants: Jelili Atiku, Ellie Dion, Doug Jarvis, Zoe Kreye, Peter Morin, Judie Price, Emilio Rojas, Katie Sage, Grace Salez, Valerie Salez, Justine Sawyer, Serena Zapf.